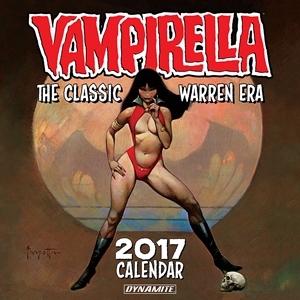 Ignite your passion for the horror hostess Vampirella with the Classic Warren Era wall calendar! 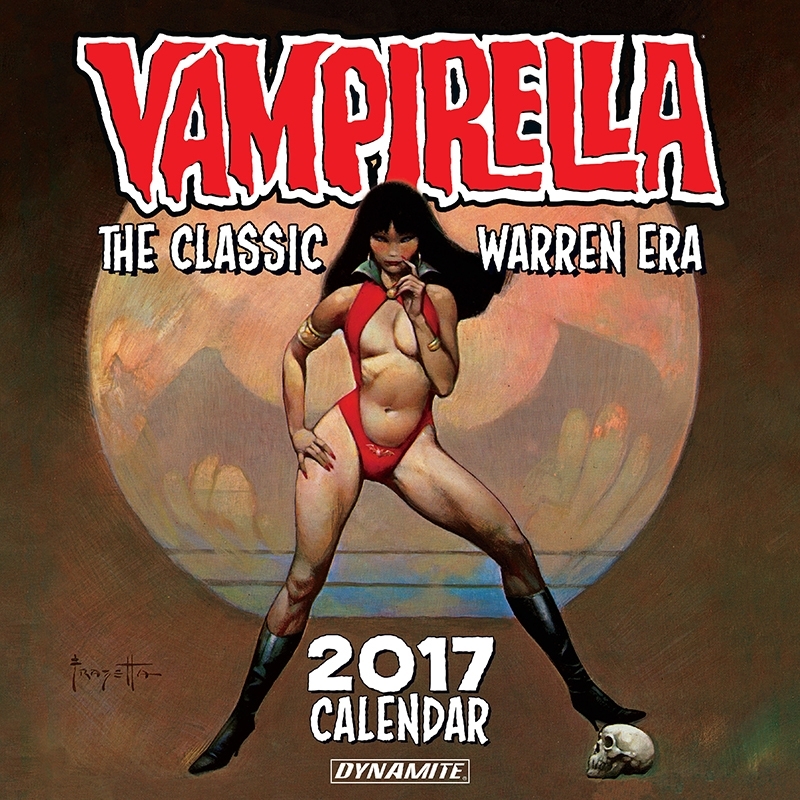 The most iconic imagery from Vampirella Magazine are captured twelve months of the year, depictions of her hypnotic beauty that once ensnared millions of lovesick admirers... and promises to do so again in 2017! An alchemical union of sensuality, horror, and a seductive wickedness, brought vividly to life by the greatest artists of the 1960s and 1970s, including Frank Frazetta, Jose Gonzalez, Enrich, Sanjulian, and Jordi Penalva.